EasyPro Products MP155 Tranquil Decor Mag Drive Pump, 155 GPH | Fountain City Art Ctr. 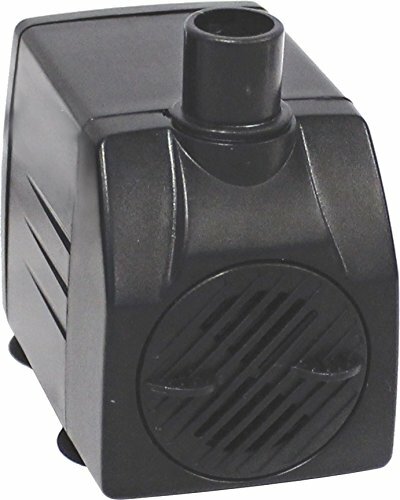 This pump is a magnetically driven, submersible fountain pump with adjustable flow control. The compact design makes it great for fountains and bubbler features. This pump combines simplicity of design with the most energy efficient operation of any pump. All electrical components are encapsulated in epoxy. The impeller assembly consists of impeller blades attached to a magnet and is easily replaced should the need arise.